Archbishop Apuron hired a Denver law firm to render a favorable opinion on the status of the property currently occupied by the Redemptoris Mater Seminary and Blessed Diego Institute. He published excerpts from that opinion in the U Matuna on April 19, 2015. Why did Archbishop Apuron hire an expensive law firm, not licensed to practice in Guam, to do this? Exactly! And apparently a lot. The U Matuna Story (The truth about the property of the Redemptoris Mater Seminary - April 19, 2015), carried the following footnote : "The whole document can be consulted at the Chancery." Our first clue that there is something "to hide" was that the full document was not posted on the Archdiocese's website for all to see. If the document had actually exonerated Archbishop Apuron's actions, we can be sure that he would have made sure everyone of us could read every word. By comparison, Apuron printed every word of the decision by the LA Archdiocese regarding Fr. Wadeson, enabling Apuron's reinstatement of Wadeson, in the same issue of the U Matuna. And we all know how Apuron spared no space in publishing every jot and tittle he could publish about Msgr. James. In fact, both the statement about Wadeson and the infamous Internal Review report blasting Msgr. James are both prominently featured on the archdiocesan website under "Featured Posts"! Our second clue that there is something "to hide" was when a CCOG attorney went to the Chancery to "consult" the document and was told that not only could he not have a copy, take no pictures, and take no notes, but that he would have to stand at the counter and read the 20 page document in the presence of chancery staff. Our third clue that there is something "to hide" is that the document is no longer available to the public. The CCOG attorney was told on April 23 that the document would only be available until 4pm on April 24. This was not what was printed in the U Matuna, so we have no choice but to believe that Archbishop Apuron really did not think anyone would come to look at it, and when someone did, he hastily made the decision to pull it. Obviously, the document by the Denver firm DOES NOT do what Archbishop Apuron wanted it to do. But what did he want it to do and why? First, let me preface what I am about to share with my belief that Archbishop Apuron is NOT making any of these decisions. In fact, he has not been making decisions for many years. All decisions are either made by the Gennarini-Pius hierarchy or they must be submitted to them for approval, even who will be ordained! Also, it is already a well-known fact that Archbishop Apuron does not write any of the letters he signs, at least not the official ones. It is also quite obvious that all his sermons are either written for him or downloaded verbatim from some online source. And of course for years he has not had an original word of spiritual counsel and direction in the U Matuna, his Sunday Gospel and Reflection being lifted directly from the book 365 Days with the Lord (which at least he gives credit to). You may think that this is being derogatory towards the archbishop. In fact, it is being merciful. While he still must take responsibility for all that is being done in his name, I believe personally that he is not in his right mind and has been co-opted and controlled by Gennarini and Pius because they need a bishop they can use for their own ends. However, because the archbishop is the archbishop, we will still have to name him as we proceed. So what did Apuron want the Denver law firm to do and why? He needed it to show that he did not alienate the property when he recorded the Deed Restriction, restricting the property for perpetual use for use only by RMS and Blessed Diego Institute. Why did he need to do that? The Deed Restriction may not be enforceable because Apuron pulled a fast one by putting his name on the title when the property was acquired. The intent of the purchase was for use by the archdioceses of Agana, NOT for Apuron to do as he pleases with the property. I'm sure the donor who provided the money for the purchase did not intend to give the property specifically to Apuron. I hope this matter is brought to court so we can settle this once and for all. Correct that it was for the Archdiocese of Agana and not for Apuron to do as he pleases, which is the case for all the property considered to be the patrimony of the diocese. Not correct though that he put his personal name on the title. Since the Archdiocese of Agana is a Corporation Sole, his name shows up but only in the context of his office: Archbishop of Agana, Incumbent. So his successor will be the next Corporation Sole. However, in this case, Apuron has restricted the property to another corporation and only that corporation can give it back. Will the next archbishop be bound to ordain the seminarians from RMS and incardinate them into the archdiocese? I believe he suffered some form of a mental breakdown and is no longer in control of his own mind. Sometimes this is a result of open heart surgery. The person is not the same afterwards. However. Much of his devilment began before that. Definitely not mentally all there. Who can intervene in such a case. Pius and Kiko making hay in the meanwhile. Fr....Matthem Blockley, you're a disgrace Fr ????????????? 4.56pm. My life is committed to the true the good and the beautiful. How can I possibly be a disgrace. When God is on your side you can do anything in this world. I am simply doing what is right for the Good of the Church in the region. And you honey can do nothing because no one shuts up Fr.Blockley. So shut your mouth and get a life. Don't waste your breath with these pathetic poor devils. Just LOL. Satan hates to be laughed at. LOL. 2:43 AM. They say Satan never sleeps. Apparently you can't either. Up at 2:43AM, haunting my blog, itching to say something, scratching where it doesn't itch. It doesn't matter how Satan keeps a soul from seeking God, as long as he does. Anon 2:43AM Your creepy nocturnal laughter's echo lingers even in the morning! You must come alive during and amongst the dark night's creepy crawly critters and with the silent slithering brown serpents that live in Guam’s boonies. Satan Love you TIM !! I posted the above comment about Satan loving me because I want to, once again, show that my evidence and arguments are irrefutable. All anyone of the haters has ever had to do is simply show me where I'm wrong. Not once have they been able to. Not once. Simply showing me the document permitting the variation to the communion rite would have shut me up long ago. I would have had nothing. Instead it has mushroomed into this, and fed by the haters such as 12:22. Do not forget that there is also a Kiko seminary in Denver. Former Archbishop of Denver, Chaput is classmates with Apuron. Chaput is now in Philly. So Guam is using Denver because of those connections. Keeping it all in the "family." Totally sick! AND Chaput is in Philly now. If Pope Francis goes there the Kiko birds will be banging on their drums wherever he goes. Chaput put neo house in Philly too. HOWEVER, the Neo seminarians attend Saint Charles ARchdiocesan Seminary NOT THE OTHER WAY AROUND, Archbishop? You there?? Listening??? the Other way around. No secret that apuron have been wanting to be just like Chaput. He is no Chaput, who reinvigorated Denver with a number of good and holy vocations. Of course, the mental capacity of apuron is no match (far from it) with Chaput. One is fit for the gutter, while the other one is an ecclesiastical luminary. Diana joyfully announced the ordination of NINE presbyters of RMS by Pope Francis. NIne? Great. At LEAST they got a proper education in Roma. And, Pope Francis is the Bishop of Rome. So, do you think he made them all Pastors on the same day? Do you think he made one of those new presbyters the Vice Rector of the Seminary. Comparing apples and oranges, Diana. Ooops, did I say oranges? Sorry. Because we think that the archbishop may not be making the decisions and because we think he is mentally unstable, does this mean he is not culpable? Most of us are finding it hard to believe that he is incapable of recognizing right from wrong. Shouldn't he therefore, be “put away” if his cognitive abilities are impaired and there may be the risk of his harming himself? In that case wouldn't he also be a danger not only for our Church but a danger to society?! We can’t let him off the hook so easily! Many of us believe the archbishop knows what he is doing. He knows what he wants -- it’s about his quest for power and money and a lavish lifestyle dangled in front of him by kiko and archbishop liked! We think he is fully aware of why he is enabling the decision-makers to make his decisions for him (because he’s not too bright and does not know how to think on his feet). Perhaps also, "playing dumb" allows him to continue bilking our Church on Guam for all he can in his quest to keep kiko and his kikoheads contented and pleased with him!! 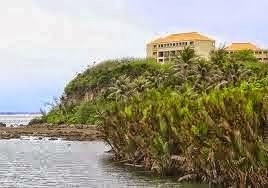 The good news for the faithful of Guam is that we all know how the story about our authentic Catholic Faith and Church (which Jesus Himself, taught, built and instituted) will eventually and triumphantly end. With that knowledge therefore, we are assured and so, continue our Hope, Trust and Faith in the longevity of our authentic Catholic Church on Guam. … But not without fighting and kicking and fighting until we’ve taken back our Church on Guam, along with all the parishes! Long-live The Catholic Church and the Katoliku of our island! I essentially parsed it both ways. He may be mentally incapacitated (or simply lacking in mental capacity to begin with), but he is FULLY culpable which is why I name him as the problem. Whatever his spiritual culpability is is up to God. He is not playing dumb. He is. He thinks he's smart. His inflated ego prevents him from dealing with the reality that he's really the NCW's B...CH and he's the FOOL who divided Guam's Catholics. Surely, Genarrini, AAA and Pius will attend. Will you? Catholic University of America (CUA) has announced that they will confer honorary degrees on Kiko Argüello and Carmen Hernandez, the initiators of the Neocatechumenal Way on Saturday, May 16th, 2015. 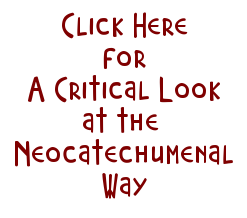 The conferral of the honorary degree from CUA on Carmen Hernandez as well, according to a communique released by the Neocatechumenal Way, "underlines her fundamental contribution to the formation of the theological-catechetical synthesis of the Way." In May of 2009, the University of Notre Dame, the United States' most prestigious Catholic university, gave the most pro-abortion president in history an honorary degree. Kiko is in good company. Anon 5:39pm You make much ado about nothing! Much desperate ado over glamorized, useless titles worth ZERO, ZILCH, NOTHING, NADA, academically. An announcement coming only from "a communique released by (a biased) the neo way". Say, Anon 5:39pm, keep us posted about the next neo way's "communique release" announcing kiko's papacy, designated by the ncw, ok? Now, that should be an excitingcommunique release!" Wouldn't you say? Archbishop surrendered the administration of the see of Agana Guam to one who is not appointed by the Vicar of Christ. This is a unique situation in the church . When he teaches in conformity with the church in faith and morals he must be followed. However his administrative decesions are not in the best interest of the catholic church on Guam so I certainly would not take anything seriously he says. Remember mass follows class. So best to listen to Tim Rohr and CCOG who have the real concern for all of you. Boink, was that a drip I heard? Cut all money to Tony and it will all quickly come to an end. If you give to your parish do not make check out to the Church. Pay GPA/GTA/GWA/direct vendors. Or pay to health care, or the priest. Even if your check is for $10 make it to GPA, they will take payments based on multiple checks. Cut the money and the beast will fall. Tony, we are not going away, so you should exit while you still have options. If I was in AAA'S shoes I'd give up, Tim you have all your documents while AAA has none or actually has nothing to back him up. Wow, you continue to make an a$$ of yourself. You will go down in the history of Guam as a leader who looked beyond the righteous deeds he should have done to a puppet who's strings are being pulled by someone else who's not even local. That high and mighty untouchable attitude you've have is now dwindled down to a pheasants status....Welcome to the level you use to place us in only you stand alone. Not even the men on the hill care so much of you. Look in the mirror for things will fall....Ti mamaigu Si Yuus. As someone posted on Diana's blog under the heading "The jungle is getting Desperate"
Another howler from Jungle Whatever! 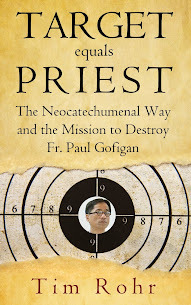 In his eagerness to discredit the Neocatechumenal Way, he slips up constantly. Dear Tim, even Cardinal Tagle, the big friend of your protector Benavente, received the Doctorate Honoris Causa from this University that is going to give the Doctorate to Kiko and Carmen. And by the way, contrary to what you wrote to the Vatican, Father Luis was NEVER in Saipan after the incident. Another lie. Another howler. No wonder the Vatican disregards your fiery letters. Check your sources, my dear. Yah, that's Zoltan. Still smarting from getting is ____whupped every time he comes to the Jungle.